Azerbaijan had three turbulent years of political independence in 1918-21. As Tsarist Russia collapsed in 1917, the Azerbaijanis, Armenians and Georgians all seized the opportunity to create their own states in the South Caucasus. The Azerbaijan Democratic Republic (ADR) was created on 28 May 1918. The parliament of the ADR was elected by universal suffrage (women had the vote in the ADR before Britain and the USA) and the country was run on a day-today basis by a government answerable to parliament. Consolidating the borders of the new republic was one of the first challenges faced by the ADR government. Ethnic Armenians in Azerbaijan’s Karabakh region declared their “independence” at their first congress in Shusha in the summer of 1918. After their declaration of independence, the Armenians of Karabakh tried even harder to unite with Armenia. This required decisive action from the Azerbaijani government. A key step taken by the government was the creation of a governor general’s office (covering the Javanshir, Shusha, Jabrayil and Zangazur districts) to protect Azerbaijan’s territorial integrity and to establish the rule of the ADR government in those districts. At a meeting of the Azerbaijani government on 15 January 1919, Interior Minister Khalil Khasmammadov delivered a report on the situation in Karabakh.1 According to the journal Decisions of the Azerbaijani Government, the meeting agreed the following: To establish a governor-general’s office on the territory of the Zangazur, Shusha, Javanshir and Jabrayil districts with the rights and obligations shown in the report; That the Interior Ministry should nominate a candidate for the post of governor-general by the next meeting of the government and that it should also make proposals for the budget for the governorgeneral’s office. Khasmammadov gave a brief but clear description of the political and military situation that had developed in the Karabakh and Zangazur districts in the previous two years. Most importantly, he provided strong arguments for a governor-general’s office to run these two districts. The arguments were: . 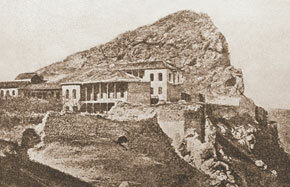 Following the February coup in Russia and the establishment of the Trans-Caucasus government, and at the instigation of Armenia’s ruling nationalist party, the Dashnaks, Armenians living in mountain areas of Zangazur, Shusha and neighbouring districts sought to secede and establish a separate administrative unit (guberniya or governorate). Therefore, instances of disobedience increased and acts of violence were committed against the Muslim population of the districts. 2. After Northern Azerbaijan declared its independence, the pro-separatist Armenians in the western districts acquired a clarity of purpose (they started demanding secession from Azerbaijan and unification with Armenia) against the backdrop of increased Dashnak propaganda and active support from certain forces inside and outside the country. 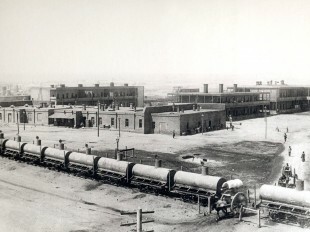 The newly formed Azerbaijani government had difficulty tackling the Armenian separatist districts, as it had other major problems to tackle (the government had to strengthen its rule in the central parts of the country at the time, did not have enough military power and found it impossible to maintain comprehensive relations with all regions). by military forces led by Armenian general Andranik, who openly said that his “crusade” was aimed at cap-movement in Zangazur and neighbouring turing these regions from Azerbaijan and annexing them to Armenia, made the situation even more difficult. 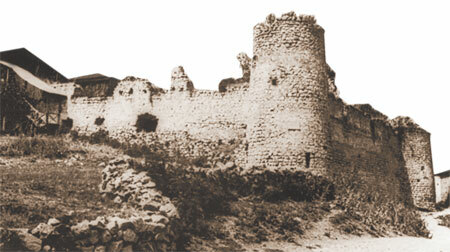 Local Armenians also established armed groups and intensified their attacks on Azeri villages. As a result, over 150 villages in the region were destroyed, some of their population were massacred, and a large number of people were forced to flee to neighbouring regions and even to Iran. 4. No matter how experienced local government officials were, they were not in a position to act independently against the serious Armenian incursion. They needed constant supervision of their activities, which, according to law, had to be carried out by the Ganja governor. The developments in the region required urgent action. However, maintaining contact with the Ganja governor took a long time. Therefore, a special authoritative body was urgently needed in the region that would receive important instructions directly from central government. In his report, Khasmammadov laid out the responsibilities of the governor-general. They included: to fight against and crush the Armenian movement; to establish law and order in the four districts; to organize local government; to provide refugees with food and aid, and ensure their return to their former places of residence. A special council was to be established under the governor-general to carry out these responsibilities and to help the governor-general. The council was to be chaired by the governor-general and include advisors from the ministries of defence, food and health. of Ganja Province, and also plans for the staff of the governor-general’s office and for a people’s police force of up to 3,000 men. Another report sent to the government by the Interior Ministry concerned the limits of the power of the interim governor-general. It was suggested that military units in the territory should report to their respective ministries and not to the governor-general.. In the report, the ministry also proposed a candidate for the post of governor-general -Qud Qudiyev. This is a little known fact, as the history books say that Khosrov bey Sultanov was the first and only candidate for the post of governor-general. However, the ministry first nominated Qud Qudiyev, a Muslim Ingush born in the town of Nazran in the province of Ter. Qudiyev had completed various stages of military service and was known as an experienced administrator. According to information provided about Qudiyev, his only shortcoming was that he did not speak Azeri. d) to bring the number of troops up to 3,000 under a special instruction by the government. Interestingly, although the ADR government was opposed to the Bolsheviks, Bolshevik Chingiz Ildirim was appointed deputy governor-general. 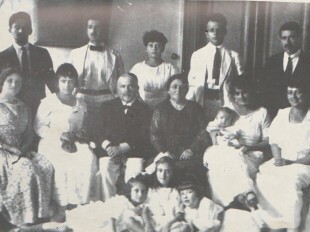 After his appointment, Khosrov bey Sultanov stayed in Baku initially to sort out some of the issues connected with the establishment of the governor-general’s office. On 12 February 1919, he arrived in Shusha and assumed his responsibilities. 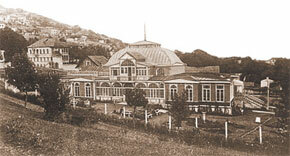 The local Azerbaijani population welcomed the creation of the governor-general’s office, as it gave them new hope. According to archive documents, the governor-general’s office had a great impact on some of the region’s problems. This was a major factor leading to the recognition of the ADR government by Karabakh Armenians. Seriously worried by the creation of the Karabakh governor-general’s office, Armenia stepped up its diplomatic and military activity. 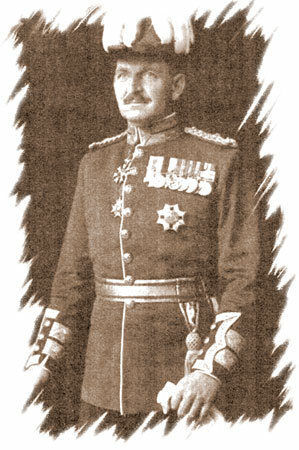 The commander of the Allied (British) forces in Azerbaijan, Gen Thomson, had approved the appointment of Khosrov bey Sultanov, who was known to be anti-Armenian, as the governor-general of both districts. The angry Armenians perceived this as yet another act of humiliaton and were frightened. groundless territorial claims on both districts. Tigranyan protested at the establishment of the new governor-general’s office, which he described as a plot against “Armenia’s territorial rights”. In fact, Tigranyan’s protest notes made a number of the already obvious issues even clearer. 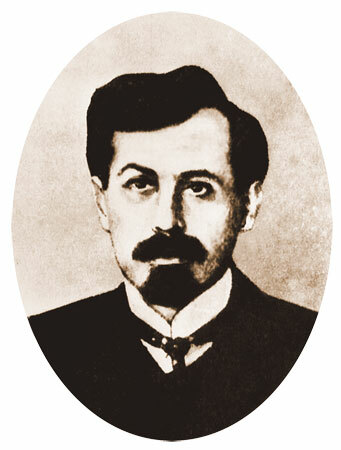 It showed that while the Armenian government had formally “rejected” Andranik and his armed forces, it was still pursuing its policy of occupation through Armenian military units led by Andranik himself. The Armenian government’s diplomatic and political games were accompanied by the deliberate and systematic propaganda of lies circulated by the Dashnak media. 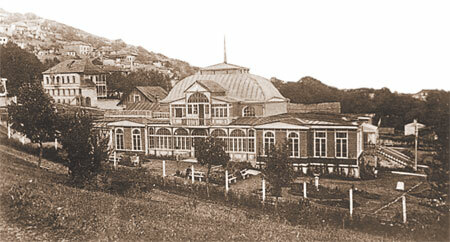 For instance, the lead story in the 29 January 1919 issue of the Nashe Vremya newspaper described the establishment of the governor-general’s office on the territory of the Karabakh and Zangazur districts as “irresponsibility on the part of the aristocratic circles of Azerbaijan” and a move designed to break off relations between the two neighbouring peoples. The newspaper considered the @@feudalism on the ADR government and not the Armenian policy od occupation to be the cause of the war, and blaamed the Azerbaijan noility fot that. a) The imperialist tendencies of Azerbaijan’s Islamic rulers may cause bloodshed, and there may be a military confrontation between the two countries if solved only by the Paris Peace Conference. The newspaper warned that Armenia “will help” the Armenian population of the regions in the future. This means that the newspaper either did not want to acknowledge, or viewed as “lawful”, the atrocities Andranik’s bandit groups had committed against the Muslim population of the regions and the war he had long since started against Azerbaijan. Andranik was fully supported by the Republic of Ararat (Armenia). and also mentioned that he quoted Thomson in his statements. It was also noted that Thomson had promised to send his envoy to Karabakh and Zangazur to protect the freedom and rights of the local population, referring to Armenians, by supporting local self government. In conclusion, the Dashnak newspaper supported Armenia’s territorial claims and rejected Azerbaijan’s attempts to run the affairs of its territory. The newspaper “advised” that the “only sensible” way out of the situation was to allow the local population, referring to Armenians again, to live independently, without any governor-general. Interestingly enough, at his meetings withrepresentativesoftheBritishcommand, the Dashnak government’s diplomatic envoy to Azerbaijan, T. Bekzadyan, pushed for the establishment of a British governor-general’s office in the districts of Karabakh and Zangazur, if it was not possible to resolve the issue in favour of Armenia. Of course, the government of the Azerbaijan Democratic Republic was bound to respond to Armenia’s groundless territorial claims and its interference in Azerbaijan’s internal affairs. In a telegram (No 178) sent to the Republic of Ararat on 31 January, acting Foreign Minister A. Ziyadkhan dismissed as groundless any protests at the establishment of an interim governor-general’s office in Zangazur and other regions of Azerbaijan, as he said those districts were inseparable parts of Azerbaijan. He went on to say in his telegram that establishing law and order on this territory and protecting the honour and property of all citizens, irrespective of their ethnicity, from the arbitrary behaviour of irresponsible people was not only the right of the Azerbaijani government but also its moral duty. Ziyadkhan said that the decision to appoint a governor-general in Karabakh and Zangazur was not a plot against Armenia’s territorial rights at all. He assessed the Iravan government’s protest as an attempt to interfere in Azerbaijan’s internal affairs and plot against its sovereignty. The position of the ADR government on the establishment of the Karabakh governor-general’s office was explained at length in several issues of the newspaper Azarbaycan. 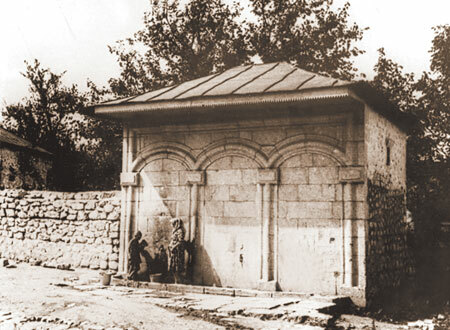 First and foremost, the newspaper said that Karabakh and Zangazur were historical Azerbaijani land, where Muslim Turks make up the majority of the population. 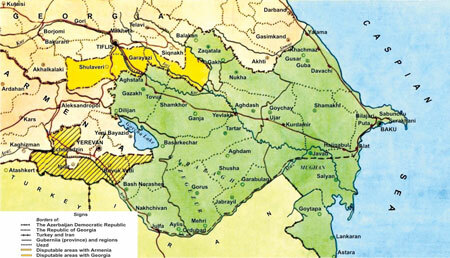 It said that the districts had closer territorial, economic and other connections with other parts of the Azerbaijan Democratic Republic than with Armenia. Second, the newspaper said that Armenia was in vain trying to sell itself as a suffering nation to the world, as the bloodshed in the region was caused by Andranik’s armed gangs, who were being directed by the Iravan government. Local Armenians also helped them. Only recently, had the British managed to stop at least some of the arbitrary acts of the Dashnak bandits against the Azerbaijanis. Third, the Azerbaijani government had never tried to “subjugate this territory by force”, as the Armenians claimed. Quite the contrary, it had tried to protect the rights of all residents of these districts irrespective of their ethnicity. In mid-January 1919, Thomson declared that Karabakh and Zangazur would temporarily be governed by the Azerbaijan Democratic Republic. He was also positive about the establishment of the interim governor-general’s office in these districts. The Armenian government was disconcerted and unhappy. not be resolved locally, that the commission had no power on this issue, and that the dispute could be resolved only by the Peace Conference. They said Dr Sultanov had been appointed governor-general of the region. Finding a modus vivendi, ruling the region without the use of force and refraining from territorial claims were listed as Sultanov’s responsibilities. Monck-Mason and the commission were told to provide Sultanov with every support in meeting these responsibilities. The most important instruction for Azerbaijan (Article 4 of the document) said that Monck-Mason and the commission should convey to Andranik the order to disband his troops. It said that Andranik’s troops should be transported to Yevlakh, where they would be disbanded and taken to Armenia by rail. It also said that the necessary decrees should be issued on the return of refugees to their homes next spring, and two Armenian representatives sent to Shusha should provide the commission with every support. The command of the Allied Forces formally approved Khosrov bey Sultanov as governor-general with a statement issued by Col Shuttleworth on 3 April 1919. 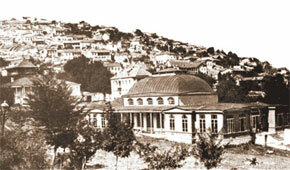 In a telegram (No 559) sent to Gen Thomson on 11 March 1919, Armenian Foreign Minister Tigranyan said that on behalf of his government he had protested at the establishment of the governor-general’s office by the Azerbaijani government in Shusha, Zangazur, Jabrayil and Javanshir districts in January that year. In February, he conveyed to Gen Walker his protest at Dr Sultanov’s appointment as the governor-general of these districts. The minister provided some baseless “arguments” to support his position. For instance, he said that a large swathe of the territory to be governed by the newly appointed governor-general belonged to Armenia. He cited the 24 January 1919 decision of the Peace Conference on refraining from unilateral acts of violence to change borders. Armenia itself did not respect that decision and sought to establish a large state at the expense of Azerbaijan’s historical land. Meanwhile, Azerbaijan made no territorial claims on Armenia and harboured no ill intentions towards that state. As is seen from the “arguments” provided by the Armenian minister, the occupation policy, violence and atrocities by Armenians were described as measures taken by the Armenian population of those districts to defend their independence from Azerbaijan and Turkey. The “arguments” provided by Tigranyan (that the Armenian parliament viewed those districts as an inseparable part of its republic, that these territories were being governed by a fully authoritative national council on behalf of the Armenian government, that the Dashnak government had its commissar in Goris, and that it covered all administrative expenses of the district) meant that Armenia openly admitted having territorial claims on the ADR and committing atrocities within the borders of Azerbaijan. The Armenian Foreign Ministry warned the Azerbaijani government about the undesirable consequences of its “violent and unilateral acts” and called for the suspension of the governor-general’s office. It also urged Thomson to intervene in the situation. This constituted direct interference in Azerbaijan’s internal affairs. – the governance of the region should be carried out by the National Council under British supervision. According to documents in Armenian archives (the Central State Archive, Collection 89/223, list 1, work 72, page 26), Thomson promised to provide military assistance to the Armenians as requested by the latter at the meeting. At their second meeting, Foreign Minister Alexander Khatisyan strongly protested at Dr Sultanov’s appointment as governor-general. In response, Thomson defended his appointment in a diplomatic manner. He said: “Sultanov will obey British officer Monck-Mason.” He also told the Armenians that the governor-general’s office established by the Azerbaijani government in Karabakh was only a temporary body, and that the presence of Azerbaijani troops and rule in Karabakh did not mean that the region belonged to Azerbaijan. Map of the Azerbaijan Democratic Republic. After long discussions and debate, the British did not compromise and demanded that the Armenians obey the decisions of the Allied command and recognize the ADR government in Karabakh and Zangazur. The Armenian Foreign Ministry did not agree. In a telegram (No 1332) to the British command in the Caucasus on 15 April 1919 (a copy of which was presented to Takinskiy, Azerbaijan’s diplomatic representative in Iravan, on 17 April) the ministry reiterated its previous position. In a note to the Armenian Foreign Ministry (No 224) on 25 June 1919, Takinskiy once again mentioned the documents about the establishment of the Karabakh governor-general’s office and Sultanov’s appointment as governor-general. He also dismissed as groundless protests against the deployment of Azerbaijani army troops and the establishment of law and order in the region. He assessed the protests as interference in Azerbaijan’s domestic affairs. In a report to the ADR government entitled “The situation that has emerged in Karabakh in connection with British policy and the measures needed to rectify it”, and also during discussions with British Col Shuttleworth on 25 June 1919, Khosrov bey Sultanov set out various aspects of the problem. Sultanov’s opinions help to understand the Armenian-Azerbaijani conflict (war) that started in the late 20th century and is still ongoing. First, Sultanov assessed the geopolitical importance of the districts that were governed by his office. 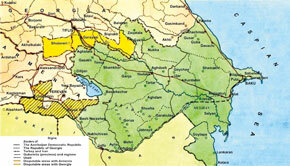 In his opinion, the loss of Karabakh would mean the loss of Nakhchivan, Ordubad and the whole of Azerbaijan. Having consolidated their positions between Ganja and Baku, the Armenians would have threatened the very existence of Azerbaijan. if the resolution of the problem were delayed for another month, people would believe that the government was powerless. This would also cause anarchy among Muslims and mean Azerba. an had given up the region forever. to start military operations if Armenians do not recognize the Azerbajani government within six days. the possible loss of Karabakh. Summing up, the governor-general said that British policy had delayed resolution of the Karabakh issue, Armenians in Zangazur and Karabakh did not recognize the Azerba. ani government peacefully, and inter-ethnic tension in the region had been seriously aggravated as a result. The establishment of the Karabakh governor-general’s office by the ADR government and its eff ective operation played a very important role in the protection of Azerbajan’s territorial integrity and its population. Thanks to these efforts, Karabakh Armenians adopted a document at their seventh congress in August 1919, recognizing the ADR government. The document was presented to Governor-General Sultanov by representatives of the congress. This was another important achievement in the protection of Azerbajan’s territorial integrity. 1. Azarbaycan newspaper, 19 January 1919; the State Archive of the Republic of Azerbaijan (SARA), collection 894, list 1, work 43, pp. 13-14; list 9, work 5, p. 17. 2. Ibid., collection 894, work 5, p. 13. 3. Ibid. pp. 1, 8. 7. Azarbaycan newspaper, 18 February 1919. 8. SARA, collection 970, list 1, work 247, p. 10. 9. Azarbaycan newspaper, 28 January 1919. 10. SARA, collection 970, list 1, work 152, pp 1-2. 11. Azarbaycan newspaper, 31 January 1919. 12. SARA, collection 894, list 4, work 90, p 7. 13. SARA, collection 970, list 1, work 152, p 3. 14. Azarbaycan newspaper, 30 and 31 January, 15 February 1919. 15. SARA, collection 970, list 1, work 62, p 66. 16. Tadeusz Swietochowski, Russian Azerbaijan. 1905-1920; Azarbaycan magazine, 1989, No 11, p 137. 894, list 9, work 5, p 32. 18. SARA, collection 970, list 1, work 62, p 66; work 152, p 19. 19. Pobeda Sovetskoy vlasti v Zakavkazye, Tbilisi, 1971, p 373. 20. SARA, collection 894, list 10, work 152, p 2. 21. SARA, collection 970, list 3, work 4, p 6. 22. Ibid. list 1, work 152, p 2. 23. Azarbaycan newspaper, 9 April 1919. 24. Galoyan. 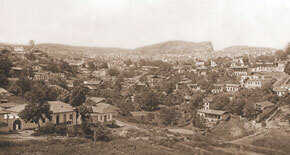 Robocheye dvizheniye i natsionalniy vopros v Zakavkazye: 1900-1922 (Yerevan), 1969, p 284. 25. P. Darabadi, Anglichane v Azerbaydzhane. Azarbaycan newspaper, 1992, No 30. 26. The Archive of Political Parties and Public Movements of the Republic of Azerbaijan, collection 276, list 9, wok 40, pp 5-13. 27. SARA, collection 970, list 1, work 152, p 18. 28. Ibid. work 62, p 66; work 152, p 18. 29. SARA, collection 894, list 10, work 135, pp 44-47, 49.